Q: The last thing in my diet I really want to get rid of is chocolate. I'm on a student budget, and there is some vegan dark chocolate available in my area but it's quite expensive, so I'm still eating the regular stuff. I really want to stop eating it because I know the milk in it is detrimental to my health. I've heard eating almonds can help relieve the cravings but they taste strange to me if I eat them too much. 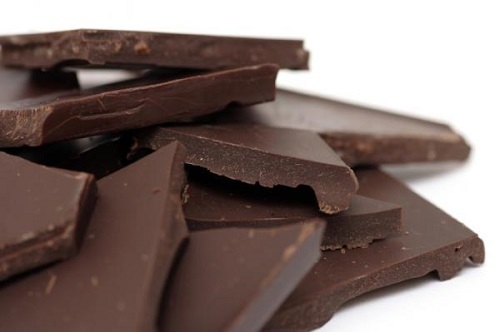 So basically, I was wondering if you had any ideas to help me give up chocolate and ideas to replace the convenience of chocolate (almonds are nice and transportable), but also to help rid myself of the cravings, at least for long enough that my body recognizes it feels better without it? A: Semi-sweet chocolate doesn't contain milk. They sell it in chip form at the grocery store. A bag is maybe $2.99. I wouldn't recommend almonds; they are more expensive than most chocolates. Your "cravings" are probably an addiction to sugar, which you just have to break (sorry, hard truth). Or it could be a lingering addiction to milk. Milk is crazy addictive, even in tiny amounts. "Food Cravings and Food Addictions"
"How to Kick the Sugar Habit"
"How to Give Up Cheese (and Dairy)"
Q: Where can I find granulated poultry seasoning? What brand do you use? A: Most supermarkets, if they have a well-stocked spice section, will have granulated poultry seasoning. It kinda looks like dried basil. Any spice store will have it as well, and most health stores with good spice sections will too. Sometimes it's near meat and not with other spices — though this is usually only around the holidays when they have all those endcaps of "seasonal" stuff. If your store doesn't carry it for whatever reason, you can make it yourself. It's just a blend of various herbs like basil, etc. There is a recipe for it in the back of my cookbooks with other spice recipes, broth recipes, etc. or you can find a zillion online if you Google. Q: My family and I (myself,my husband and our daughter who is 14) have all been on a vegan diet now for a little over 2 weeks and we feel really GREAT! However, I went to a talk here at our local Co-op last night about "How to be healthy on a Vegan Diet" and frankly, the speaker "scared the crap out of me." I am an educated woman, I am currently a homemaker, but in my other life (LOL,) I have been a nurse for 23 yrs. But the things he was talking about last night about getting all the right nutrients, absorption by your body and what can happen if you don't get the right nutrients, scared me, especially where my daughter is concerned. He said several times "A vegan diet is not one you go on to get healthy, but rather one you can go on after you get your digestive system in tip top shape" (BTW, he worked for a company that sells all kinds of digestive supplements, colon cleansers and vitamins, so I believe this was part of his talk to try and push those). What are your feelings on the matter? Do you think you can eat a vegan diet and maintain a healthy lifestyle? Do you recommend any specific supplements that we should be taking? He also said we should soak ALL our grains, seeds and nuts for 2 days before consuming them? That said, eating animal products doesn't make you any less likely to become deficient in important vitamins and minerals, in fact, I'd dare say it makes you at a higherrisk because animal foods are so low in necessary vitamins and nutrients. Most people following the standard American diet are nutritionally deficient. Nearly all of my meat eating friends are on supplements for B12. Or Vitamin D. Or Fiber — that one really cracks me up because fiber is in all plant foods, and they eat so few (animal products have no fiber) that they're put on a fiber supplement instead of their doctor telling them to eat some fruits and veggies to get fiber. Oy vey. While this is anecdotal evidence, I've worked with at least 50 (yes 50!) people who cured their digestive issues and absorption issues on a plant-based diet. Several books and studies like animal foods, especially meat and dairy to GI issue and disease — like colon cancer. This person should be slapped on the wrist for scaring you to clearly push their product! Shameful! You don't need to do anything special to your plant foods — just eat them! Soaking is not necessary. You just need to eat whole, plant foods. The only supplement you need to take is B12 (and that's largely just a precaution). You can read more in my Herbie 101 Series: Nutrition post, and about B12 in Dr. McDougall's post "Vitamin B12 Deficiency — The Meat-Eaters' Last Stand." Q: I have knee pain, can a plant-based diet help? A: Many past Herbies of the Week have referenced decreased pain in their joints, some have even reversed their arthritis, but without knowing more specifics about your knee condition, the source of the pain (causes, etc). I can't say much, but what I can tell you is a plant-based diet certainly wouldn't make the matters worse and most likely would improve it. Q: I'm left overwhelmed. I have no idea where to begin. From shopping to preparing...It's very challenging. I want to slowly make the change, but I don't know how. Can you offer me some advice or tips? A: You would be a perfect fit for 3-Day Reboot and 10-Day Cleanse & Immersion program (especially the 10-Day, because it has lessons and information that help with the change). You can also check out the HH Get Started page. I recommend signing up for the free 60 Days to Herbie Happiness newsletter, too. The meal plans are also helpful, since it takes out so much of the guesswork.